2 Bedroom Semi Detached For Sale in Denny for Offers Over £80,000. 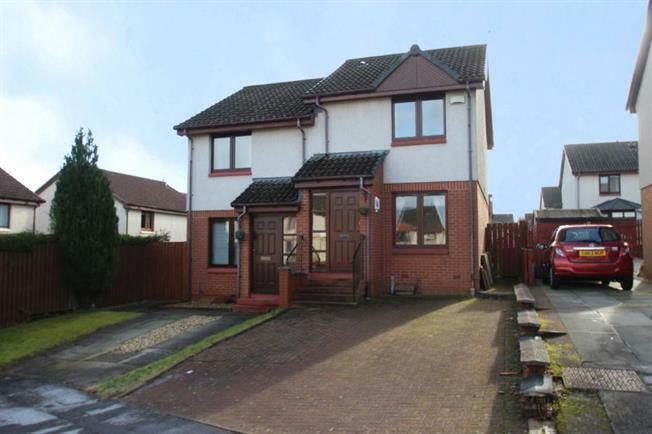 Located in a much admired and sought after area, Bulloch Crescent in the south western periphery of Denny, this is an excellent opportunity to acquire a modern semi detached villa which offers living accommodation over two levels and will therefore suit a wide range of buyers. Undoubtedly, the property's most appealing feature is its cul-de-sac location and south facing gardens. The accommodation comprises an entrance vestibule leading into a spacious lounge, from the lounge there is access to a modern dining/kitchen with a fine selection of floor and wall mounted units, there is also access to the rear gardens and timber decking. Upstairs there are two bedrooms, the master enjoys integrated wardrobes and there is a modern white three piece bathroom with over bath shower. In addition there is modern double glazing, gas central heating and separate storage. Externally the property boasts large private garden grounds mainly to the rear, which are laid to lawn with timber decking. Ample off street parking is available to the front of the property via a mono-bloc driveway and within the cul-de-sac there is communal parking. Denny offers a fine selection of amenities that will cater for day to day needs including transport links and schooling which is available for primary and secondary levels. The area also offers the commuter direct access across to the central belt via bus and rail to Glasgow, Edinburgh and Stirling City Centre's as well as excellent road links to the M9 motorway network.